The gum tree by Grantham’s Stone Bridge in Manilla bends in a north-west breeze. 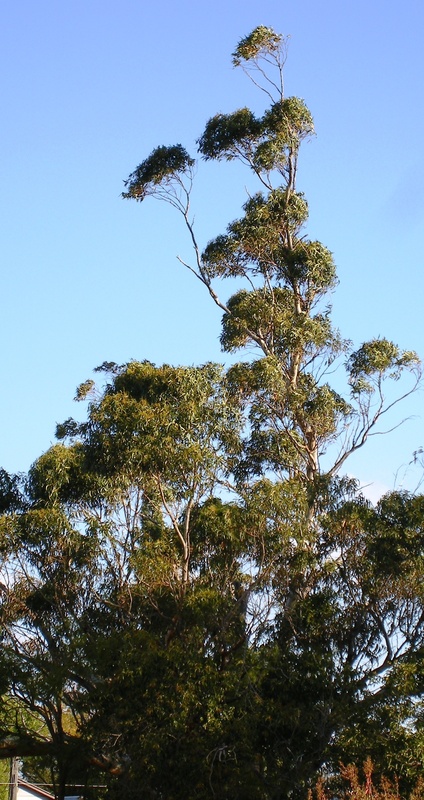 It is a 25-metre Sugar Gum (Eucalyptus cladocalyx) from South Australia. In this species, each branch has a separate crown of glossy dark green leaves. Because only one side of each leaf is dark green, the wind exposes the paler side as well.